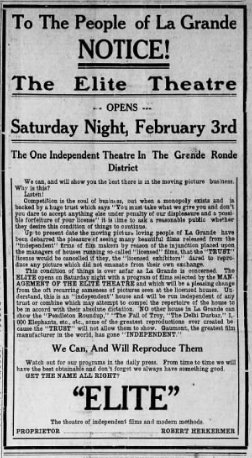 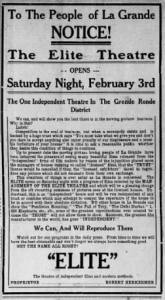 The Elite Theatre promoted itself as a a theatre that would provide independent films for La Grande. 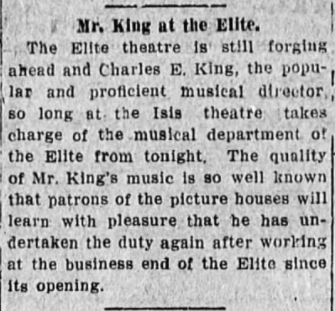 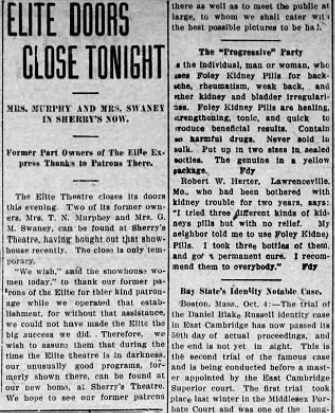 Charles E. King, who was the music director of the Isis Theatre, was also the music director and manager of the Elite while it was in business. 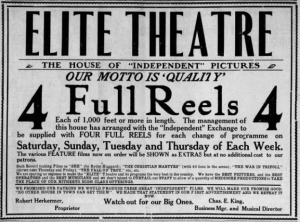 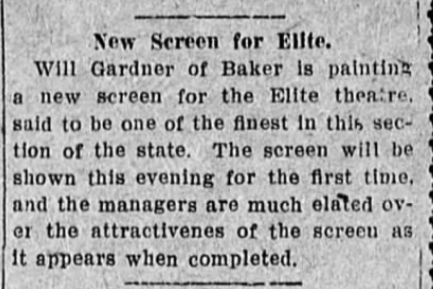 In late March, the Elite began offering matinee showing, as well as offering candy to children who came to the matinee showing on Wednesday and Saturday. 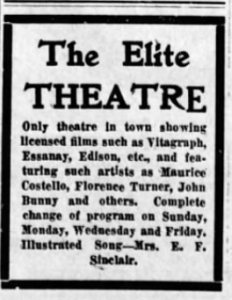 The Elite always showed at least four films, with an illustrated song by Mrs. Sinclair. 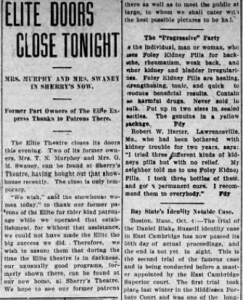 In early March the Elite changed hands, and was taken over by Mrs. Murphy, Mrs. Swaney, and Mrs. Sinclair, who only a few days after taking over, painted a new screen for the theater. 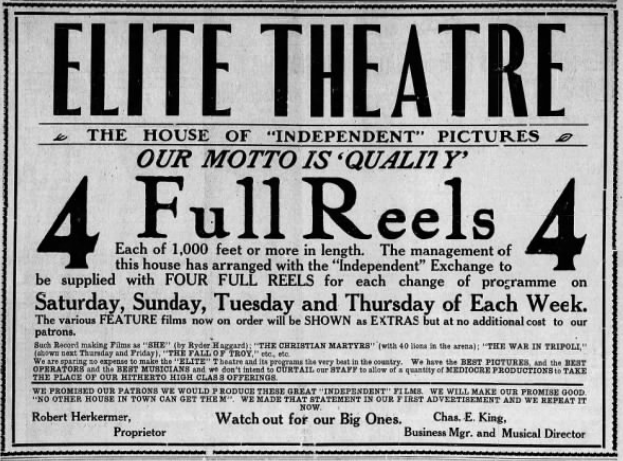 The Elite only lasted for one year until the owners decided to close it down and go to work at Sherry’s Theatre.